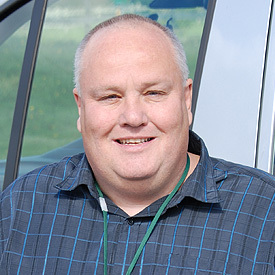 Hi, I'm Will, I operate a family run taxi service in Newbury and Thatcham. We run 3 vehicles; an 8 Seater (8 passengers) taxi and 2 Wheelchair Accessible taxis for able, disabled and elderly customers in and around Newbury and Thatcham. We offer a simple but very reliable taxi service, that aims to cater for all customers, with one aim; if I say I'm going to be there, I'll be there. Our 8 seater Ford Tourneo will provide that extra seating and space when required. So if your party all wants to travel together or your jetting off on your holidays and you need extra space for luggage, our true 8 seater taxi will get 8 passengers to your destination quickly and comfortably. This vehicle offers full wheelchair access with a built in ramp and can carry up to 5 additional passengers plus the wheelchair user. Click here to read more..
As well as the Executive Taxi Service, I’m proud to be able to offer my disabled and elderly customers a vehicle that has full wheelchair access. Click here for more information. Airport Transfers - Heathrow, Gatwick, Stanstead. As well as running clients around Newbury and Thatcham, I carry out airport transfers to and from Heathrow, Gatwick, Stansted and Southampton airports. "What makes me different from the rest?" Well I like to think it's my customer service. Booking a taxi can be a bit of a lottery, Will it be there?, Will it be on time?, Will you miss that important appointment? These are all worries that can be associated with booking a taxi. I try to take that worry away, If I say I'm going to be there, I'll be there! This means you get to your destination on time, I get a happy customer and with a bit of luck you use my services again. As a father myself, I'm well aware that today's busy society means that parents are juggling both work and childcare. I provide a reliable and dependable taxi service and with me doing your School Run, I can help ease the pressure. Why not give me a call? As well as operating a local taxi service, I offer both a Car and Motorcycle Courier Service that can deliver small to medium size packages at a moments notice. Please click here for more information. I operate 7 days a week, 24 hours a day. I'm there when you need me.